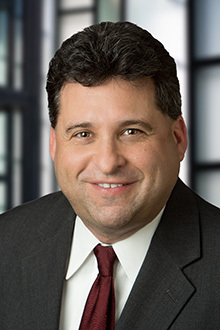 Jonathan Martin is a partner in the San Francisco office of Lewis Brisbois and a member of the Labor & Employment Practice. Mr. Martin represents employers in all aspects of employment law and litigation in state and federal courts and before administrative agencies. He has extensive experience defending employers against claims such as discrimination, harassment, defamation, wrongful discharge, retaliation, breach of contract, and wage and hour violations. He also counsels employers on day-to-day employment matters including workplace investigations, discipline and termination, leaves of absence, employee handbooks and disability issues, and provides advice regarding preventative policies and practices. Mr. Martin has first-chair jury trial experience, obtaining a defense verdict for a major Bay Area city in a federal whistleblower lawsuit. He also has presented oral arguments in the Ninth Circuit Court of Appeals and the California Court of Appeal, and secured affirmance of summary judgment for the employer on each occasion. Mr. Martin has given presentations to various employer and human resources groups on topics of interest to employers, including workplace privacy, social media issues and recent developments in employment law, and has provided sexual harassment prevention training. Before devoting his practice exclusively to employment law, Mr. Martin served as lead in-house counsel for a multi-faceted company based in southern California, where he managed litigation and outside counsel and provided advice on corporate, bankruptcy, employment, consumer protection and real estate matters. Through that experience, he gained invaluable first-hand insight regarding the legal needs of companies and their expectations of outside counsel, and he has relied on that knowledge to provide effective representation to clients ever since.